UP No. 4141 George Bush Locomotive, which was unveiled Oct. 18, 2005, was dedicated to honor the nation’s 41st president. 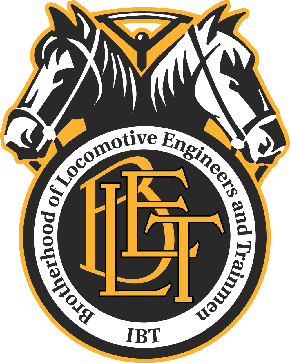 Union Pacific Railroad will be part of this week’s funeral procession for President George H.W. Bush, who died Nov. 30 at the age of 94. Following funeral and memorial services in Washington, D.C., and Houston, Bush will be transported by the funeral train from Spring to College Station, Texas, on Thursday. The funeral train will leave UP’s Westfield Auto Facility at 1 p.m. Thursday and should arrive at College Station by 3:25 p.m., UP officials said in a press release. College Station is the location of the George H.W. Bush Presidential Library, where Bush will be laid to rest. The funeral train will include UP No. 4141 George Bush Locomotive, which was unveiled Oct. 18, 2005, during a ceremony near the library and museum on the Texas A&M University campus. The custom-painted unit incorporates the colors of the Air Force One used during Bush’s years as president, from 1989 to 1992. Bush was the nation’s 41st president, hence the locomotive bears the number 4141. The SD70ACe locomotive measures 15 feet 11 inches tall and weighs 420,000 pounds with a full tank of diesel fuel, according to UP’s website. Westfield Auto Facility is closed to the public, UP officials said.